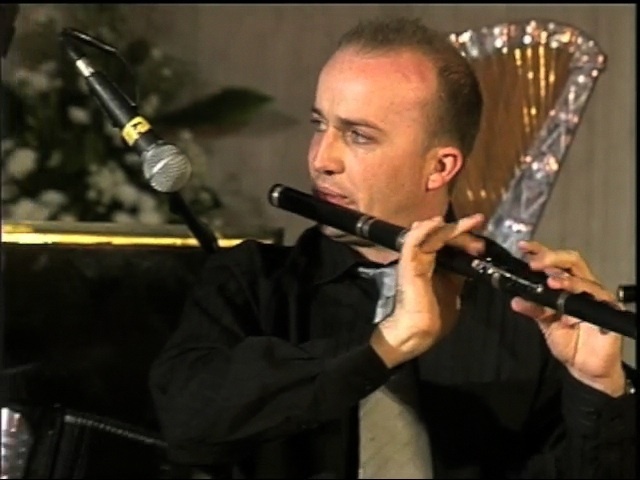 Second place in the Céilí Band competition went to the Innisfree from Sligo, who played this three-part Barn Dance recorded by the James Morrison Band, very rarely heard, called “Peach Blossom”. Members of the Innisfree Céilí Band are: Oisín and Cormac Mac Diarmada and Damien O’Brien on fiddles, Damien Stenson, Máire Nic Dhiarmada and David Sheridan on flutes, Paul Finn on button accordion, Oliver Loughlin on piano accordion, Darraigh Kelly on drums and Charles O’Connor on piano. They were recorded in the Senior Céilí Band competition at Fleadh Cheoil 2007 in Tullamore.